Wow! With that many people online, it’s all the more reason to be on the web. If you don’t have a website, it’s more important than ever to establish one. You may only need one page to satisfy your clients. A website nowadays is as important as a business card. Most people, after you’ve given them your business card, will want to check out your company further by visiting your website. If you don’t have one, you’re out of luck. The article also explains that a quarter of those people have a high-speed connection. What does this mean? It means your website can include more elaborate graphics and video without the worry of you’re website being to slow to download for people who used to have a slow dial-up connection. (Don’t get me wrong…you’ll need to do some research and make sure the majority of your visitors are using a high-speed connection). 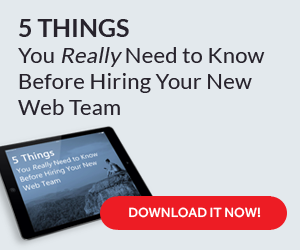 With so many people on the web, you’re website needs to be found. Can it be? If you do have a website, do you know how many people are accessing it? Are they coming from the search engines? How many people are contacting you from your website? Don’t forget about optimizing your website for these (1 billion) people too. Each day more people are getting online…are you? Blogger has just announced some new enhanced features for it's next release to it's already existing lineup. Google seems to be in the news each day...or many times a day. It can be daunting to keep up. next post: Are Testimonials Unreliable?